Parents please bring camp chairs if you like. Limited Seating Available. We have added the Boy’s Senior All Star List for 2018. In addition, we have also added a “Record Book” for the Boy’s Division. Coaches, if you have records, please see this page to submit a milestone report. Congratulations to all the Seniors this year! Below is a picture taken at the Annual All Star Event (Vs. Vermont). We will post any coaching positions available that we are made aware of through the NHIAA or an Athletic Director of one of our participating schools. These are UNOFFICIAL POSTINGS and we have done our best to provide accurate information including proper contacts. We do not support or endorse any particular school or district. 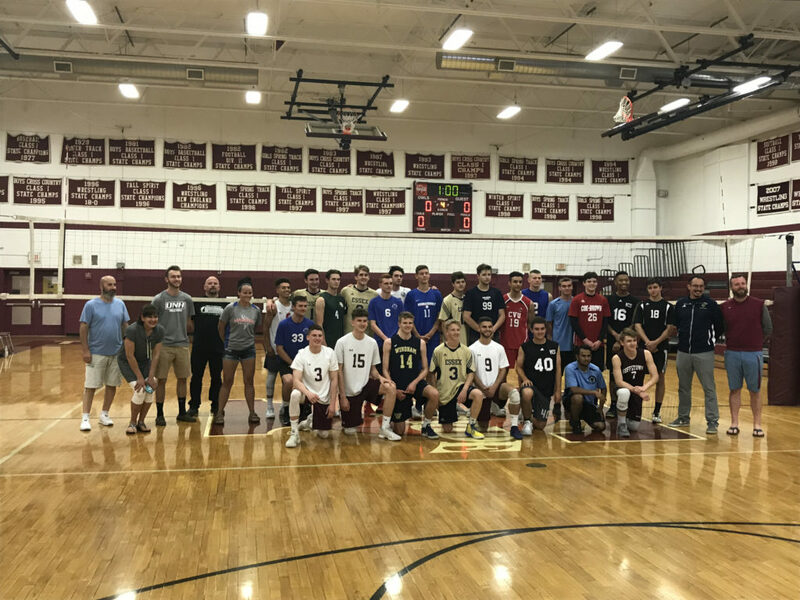 There is an opening at Goffstown High School for a JV boy’s volleyball coach and to email Steve Fountain (steve.fountain@sau19.org) if interested. 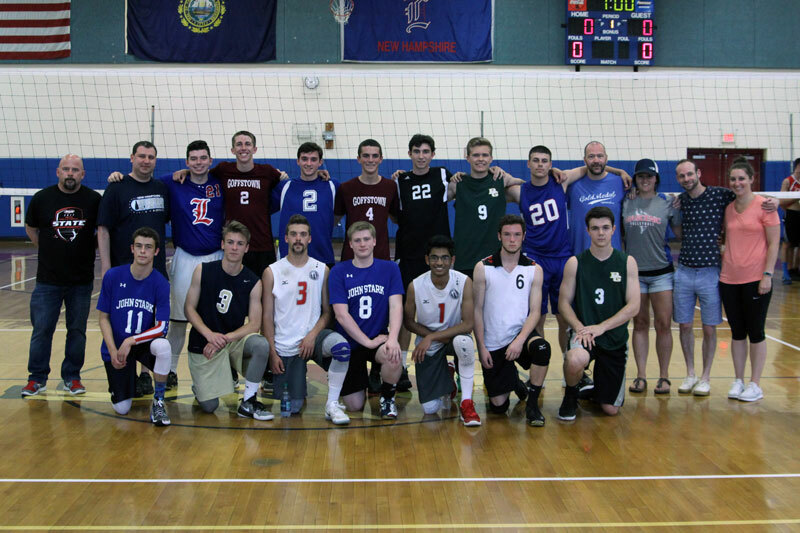 Congratulations to all the Seniors and All Stars from both New Hampshire and Vermont. In an exciting match, New Hampshire Edged the Vermont All stars 3-2! It was a great display of talent and sportsmanship. Photos from the event will be available soon!